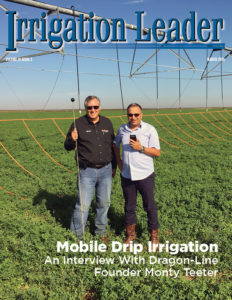 alley Irrigation is a global leader in center- pivot and linear irrigation equipment, with its equipment irrigating approximately 25 million acres worldwide. 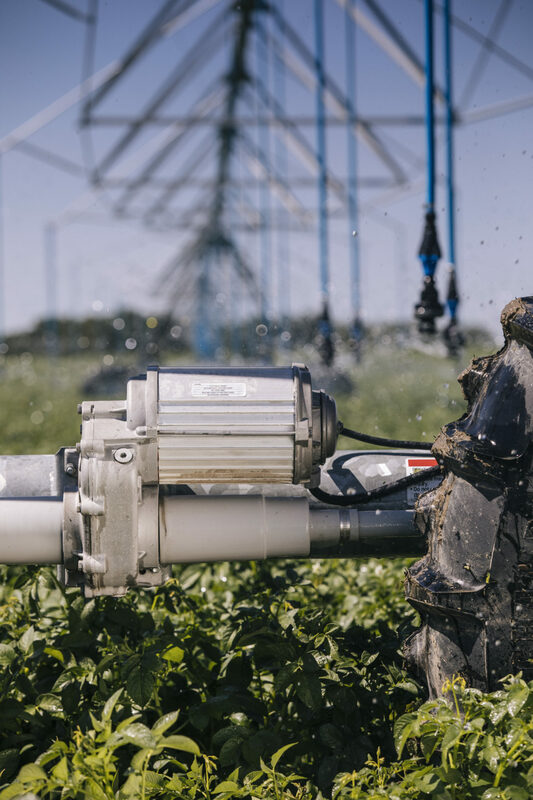 In addition to advancing software and control technology, Valley is also committed to improving irrigation hardware: the structure and drivetrain. In 2017, Valley launched the X-Tec drive system, which can go twice as fast as a conventional center-pivot drive system while maintaining torque and control. 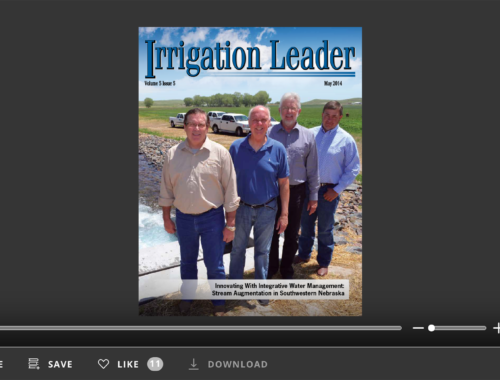 In this interview, Chris Righter, the product manager for structure and drive systems at Valley, speaks with Irrigation Leader Managing Editor Joshua Dill about the technology that makes the X-Tec possible and how the drive system can benefit farmers nationwide. 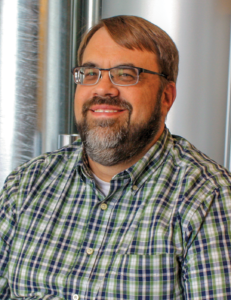 Chris Righter: I have a background in industrial engineering and more than 25 years of experience in various areas of manufacturing, ranging from the food industry to microchip manufacturing. I started with Valley almost 3 years ago as a product manager. Before that, I had roles ranging from production supervisor and industrial engineer to business manager and project manager at several Fortune 500 companies. At Valley, I am responsible for the mechanical side of the business, covering the entire product line. Joshua Dill: Would you tell us about X-Tec? Chris Righter: X-Tec is a new drive system for center pivots. Its key feature is its ability to go twice as fast as regular center-pivot drive systems. Our users kept asking for the ability to go faster, which would allow them to put down smaller amounts of water at a time. Over a development period lasting several years, we developed X-Tec, which is different from other electrical center-pivot drive systems on the market. It uses a DC-type motor instead of an AC-type motor. More specifically, it is a switched-reluctance (SR) DC motor. An SR motor has an inert rotor and a stator. The stator has a series of poles around it, equidistant from each other, and each one of those poles has a switch at its end. Those switches are turned off and on. When they are on, power passes through the pole, which creates a magnetic field pulling the rotor toward it. By altering the speed at which you switch those poles on and off, you control speed. One of the biggest advantages of the SR motor is that because the poles are equidistant from each other at all times, the torque between each one remains constant regardless of the speed. This is different from what happens with a variable-frequency drive (VFD). A VFD loses a lot of torque at the top and bottom ends of its range of speed. The torque of an SR DC motor, by contrast, stays consistent from the very bottom to the top of its range of speeds. 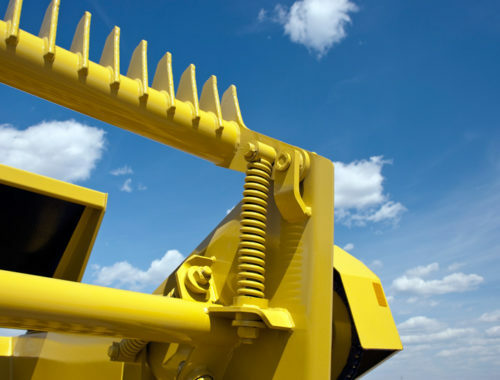 Systems that are operating in fields with challenging terrain, like potato fields, benefit from more torque. X-Tec is also a constant-move system, unlike more broadly used AC center-pivot drives that have start-stop move operations. Joshua Dill: Does that increase its speed as well? Chris Righter: It does not increase its speed, but it does increase the precision of water application and reduces wear on the equipment. The more a machine starts and stops, the more wear it suffers. A constant-move system suffers less wear. Also, it is good to note that the SR motor is mechanically simpler than an AC-type motor. It doesn’t have a squirrel cage. There are fewer moving parts within the motor, which means that it is more robust. It also allows us to incorporate soft starts and braking into the machine. Joshua Dill: Please tell us about your solid-state alignment technology. Chris Righter: The solid-state alignment technology is a change from our current alignment, and it differentiates our products from our competitors’. Current alignment systems rely on microswitches. If the grower wants to move his pivot and put out a certain amount of water, the last span moves, and the other spans each have a microswitch on them that tells them whether to move or not, depending on their alignment with the last span. We eliminated that by using a proximity switch. Because the system is in constant movement, the spans do not need a start/stop signal. However, there is a chance that things could get out of alignment based on terrain, soil type, or other variables. The proximity switch has a mechanical linkage to the span. The proximity switch constantly reads the distance between the target and emitter and speeds up or slows down to keep that distance constant. Joshua Dill: How can this system help increase yield for farmers? stress as growing seasons get later and temperatures get higher. In some parts of North America, the temperature gets quite warm. Even if a farmer is maintaining good ground moisture, the leaves of his or her plants may suffer heat stress. By making a fast pass around the field and putting down a tiny bit of water, a farmer can reduce the temperature of his or her crops and reduce that stress. That would be useful for corn, beans, and other specialty crops. Other specialty crops, like onions, are vulnerable to a yield reduction in two ways. Their seeds are tiny, and under certain conditions, some of them can be blown away during planting. If you can make a fast pass behind the planter, you can water them in and hold them in place. A little later in the season, as the seeds start to germinate and tender shoots start to come up, they are susceptible to damage. Farmers can reduce damage by wetting the soil so it will not blow around and damage the stems. 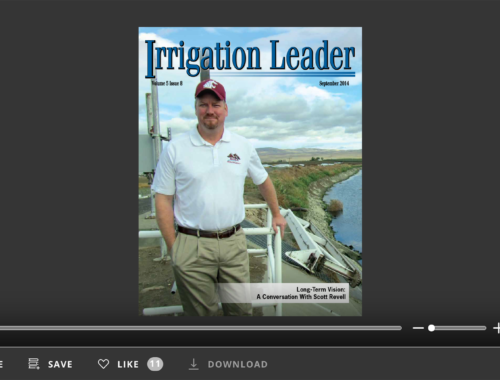 Joshua Dill: How does X-Tec technology help with chemigation? Chris Righter: Chemigation is not as effective if the chemicals are overly diluted. Because it goes faster and puts down significantly smaller amounts of water, our system can chemigate more effectively. The chemicals are less diluted, and they stay where you put them. If farmers are contracting out aerial spray or chemrigs, they can start using this technology and reduce the costs associated with applying the desired chemical. Joshua Dill: Does your system use more electricity than a standard center pivot? so it could draw more electricity. A lot depends on the conditions under which it is operating. There could be instances in which a traditional pivot would get stuck and ours would not, which would mean that our system would perform more work and use more energy as a result. A farmer might also use the X-Tec more frequently, which would also use more energy. Joshua Dill: Can the X-Tec drive system be retrofitted onto existing systems? Chris Righter: Currently, the greatest interest is coming from the growers of specialty crops like potatoes, carrots, and onions, especially from potato growers in the Northwest. We have attracted the interest of some corn growers who are using X-Tec for cooling passes. The results they are seeing are hard to quantify. Generally, we reach them through our dealer network. By educating our dealers, we can help them present the innovative ways farmers can use our technology. In a lot of cases, we help our dealers identify the growers and technology adopters that they can reach out to in their region. Other farmers will begin to see how it is working for their peers and, hopefully, adopt it based on that. Joshua Dill: Are you incorporating user feedback into your design? Chris Righter: We are. The first version of our system is in the field, and we are starting to get feedback from our dealers and our growers. We have plans in place to incorporate some of the feedback. Joshua Dill: How does Valley get its ideas for structural innovations of this kind? Do you draw from innovations in other fields of industry? Chris Righter: It starts by listening to our growers. In this case, we heard a lot about the need to go faster. We have a strong engineering team at Valley, but it cannot be aware of every advancement in technology. Once we hear about a need, we start to document the problem so that we can implement a solution for our users. Joshua Dill: Why should farmers consider using your product?